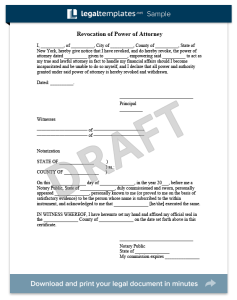 Use our attorney-drafted NC Power of Attorney (POA) to designate another person as your agent to legally act on your behalf. Do POAs Grant Agents the Power to Make Medical Decisions? Any adult in North Carolina with a business or assets and family should create a power of attorney (POA). A POA is a legal document that authorizes a designated “agent” to manage a “principal’s” property, legal, personal, and business affairs. A POA, which must adhere to North Carolina Statutes, Chapter 32C, Section -32C-3-301, can be drawn up so that an agent can handle certain duties when a principal is not available, or no longer mentally capable of handling business and legal matters. Depending on the way it is prepared, the document gives an agent the power to oversee everything from real estate transactions to taxes to decisions concerning litigation. North Carolina changed its POA statute, which was effective Jan. 1, 2018. If a POA was drafted and legally binding prior to this date, it remains valid. However, the state encourages people to review their existing POAs and the new law to ensure their validity. One of the most significant changes to the statute requires a notary to sign and date the document. Before the law changed, North Carolina POAs were valid if they were signed by witnesses. The new law also created a new limited power of attorney for real property, and it expressly makes it a POA durable. This POA form can be found within North Carolina Statutes, Chapter 32C, Section -32C-3-303. Those who use this type of POA will authorize an agent to act on behalf of a principal in all real estate transactions for a specifically designated property. Additionally, a POA must be recorded with the register of deeds in the county where the principal lives for an agent to legally handle any real estate transactions. North Carolina made changes to the law to make the use of these documents more commonplace, effective, and approachable, as well as quell any abuse or misuse that can stem from a power of attorney. Some did not recognize the value in these documents because they had seen others get taken advantage of due to confusing or an improperly drafted POA. As other states, including North Carolina, have tightened up POA language, individuals have recognized their value. Business people, specifically those who travel or make deals with entities oversees, have found the documents useful. They allow their appointed agents to handle banking, contracts, and business-related transactions in their absence. Having a power of attorney in place prior to an emergency, such as serious medical condition or an accident, can save the person’s family from the stress and uncertainty of determining who will make financial and personal decisions in the future. For instance, if an individual suffered a sudden stroke and was no longer able to make financial and business decisions, a power of attorney would empower the agent to handle whatever duties were outlined in the document. Having a valid POA in place spares loved ones from unnecessary stress while also giving them financial security. An agent can be authorized to, for example, buy insurance, manage retirement funds, and access military benefits. The power of attorney (POA) sample below gives “Agent” Robert A Render the authority to make financial decisions in the event that “Principal” Susan R Ibarra is incapacitated. Robert has the authority to handle issues dealing with Susan’s property, stocks, insurance, and business. For users’ convenience, North Carolina’s power of attorney form can be found in Chapter 32C, Section – 32C -3-301. Individuals are not required to use this form, but North Carolina encourages people to use similar language. If a principal wants an agent to make a gift, it must be specifically noted in the POA. The gift is subject to the limitations provided in the North Carolina’s statute outlining gift authorization. According to statute, an agent can make a gift for the benefit of an individual as long as the amount does not exceed what the principal had a history of giving to this person in the past. Also, if the principal allows agents to make gifts, it cannot exceed the yearly exclusions set forth by the U.S. Internal Revenue Service, which is $15,000 per calendar year. North Carolina adopted the Uniform Power of Attorney Act that became effective in January 2018, it rewrote the statute as it applies to general POAs. One of the biggest changes under the law is that a power of attorney is automatically durable, which means it remains valid upon the principal becoming incapacitated, unless specifically noted otherwise. Prior to the new law, a POA that addressed the handling of contracts had be recorded with the register of deeds. Under the new law, it does not need to be recorded to be considered a durable POA. Under the new statute, the word “disability” was changed to “incapacity,” and allows for the principal to determine how “incapacity” is defined. If it is not stated in the POA, two physicians or licensed psychologists who have examined the principal, or a lawyer, judge, or another “an appropriate government official” named by the court will determine the principal’s incapacity. 5. Do POAs Grant Agents the Power to Make Medical Decisions? Principals who want agents to make healthcare and medical decisions, such as stop treatment for a disease, must draft health care power of attorneys. The state’s health care POA can be found in the North Carolina Statutes, Chapter 32A, Section 32A-25. Recent changes to the statute did not impact health care power of attorney documents.